We’ve got plenty of exciting developments going over at ALLi at the moment, so figured this week’s news will be our final roundup of ALLi events coming up over the next month. As a side note, we’ll soon be adding events to our calendar on the Self-Publishing Advice blog, which means it’s easier to keep up to date with what we are doing. But back to this week, where we have a big discount for our members, a new addition to our online seminar with IngramSpark and advance notice on ALLi’s activities at this year’s Winchester Writer’s Festival. As you may well know, ALLi is an associate for this year’s London-based “Writing in a Digital Age” conference, a three-day event organised by partner member, The Literary Consultancy (TLC). We are joining The Royal Society of Literature as associates, putting us in great company for what promises to be an insightful and exceptional event in the conference calendar. 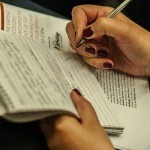 With a keynote from Cory Doctorow, one-to-one advice sessions from ALLi members and advisors, including Orna Ross, and a programme full of debates and seminars, there are plenty of reasons to make the trip down, up or across to The Free Word Centre in London. 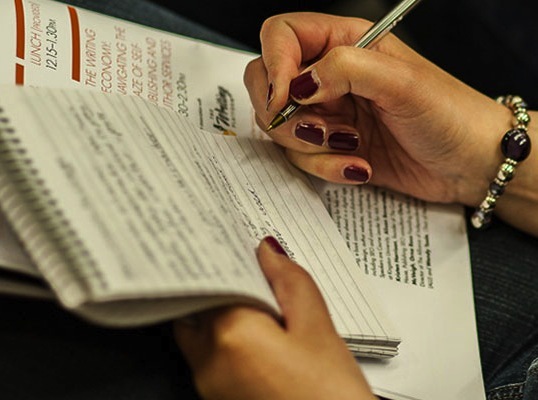 Another highlight for attendees is the Pen Factor Writing Competition, sponsored by Kobo Writing Life, with a main prize of £3,000 worth of support, free e-readers and professional photo-shoot, as well as critiques from selected agents. ALLi has negotiated a 25% discount on the ticket price of £390.00 for members. If you are interested, you can find out more about the conference here – and for details on how to redeem your discount, check out the discounts and deals section of the ALLi website. We’re delighted to announce that tomorrow’s online seminar (which is absolutely free to attend) with IngramSpark will feature Robin Cutler and now Andy Bromley. Andy is the Marketing Manager at Ingram Content UK, which means we’ll have plenty of Ingram insight from all angles. Our final appearance for Spring will see ALLi in attendance at the Winchester Writer’s Festival from the 20th – 22nd June. As part of their packed schedule, we’ll be offering a day long indie publishing masterclass, a talk on how author publishing is changing the world and one to one advice sessions throughout the festival, as well as sneak preview of ALLi Director Orna Ross’ latest book. For more information on the festival, check out their website, or flip through their programme of events, which can be found here.